There has been much talk about health foods, organic foods, low-fat foods, raw foods, unprocessed foods, and chemically treated foods over recent years. It is no wonder that the general public and health professionals alike are being bombarded with information, and often times find it difficult to discern fact from fiction. The newest class of foods that have come to our attention are the nutraceutical or phytochemical class of foods that appear to have anti-cancer, anti-aging, and anti-heart disease properties. There are a multitude of foods found in each category but the ones I will discuss in this article are the top ten special anti-cancer phytochemicals. Broccoli is a vegetable that even most children are known to love. You can steam it, bake it, broil it, grill it, stir-fry it or eat in raw. It is a cruciferous vegetable, as is cauliflower, and has isothiocyanates, dithiolthiones, and indoles as their phytochemical property. Carrots contain phthalildes and polyacetylenes, and are very high in vitamin A which is one of our favorite vitamins and is loaded with beta-carotene. If you buy a juicer, there is nothing more delicious than a carrot-apple juice in the middle of the day to boost your energy and your nutrition. Flax contains lignins and is also rich in omega-3 fatty acids. It can be found as seeds, grounds, or bought as oil. Used in cereals, on bagels, in breads, sprinkled on foods, this is a wonderful contributor to adding phytochemicals to your diet. Green tea has received wide acclaim for the antioxidant properties it has. It also contains catechins which have phytochemical properties. Green teas are readily available at supermarkets and coffee shops. They are also available in certain vitamin and herbal compounds at health food stores and vitamin shops. Soy, which is found in tofu and veggie burgers, edamame and the wonderful soybean. It can also be found in soy based products such as milk and cheese. Strawberries contain ellagic acid which has very powerful phytochemical properties. The seeds also contribute fiber and the fruit gives us vitamin C. Berries are a great way to flavor your favorite yogurt or put into your morning cereal for added nutrients. All citrus fruits are not alike. Tangerine is very high in phytochemical properties known as limonoids and beta-cryptoxanthin. Tangerine-orange juice is sold in stores or you can mix your own variety of juices together to get your boost of phytochemicals and vitamin C.
Tomatoes contain lycopenes and are quite basic…it is the tomato. It is also found in salsa, tomato paste, and sauces. They are also rich in gamma carotenes with anti-cancer properties. Wheat Germ is found in a jar in the cereal section of your grocery store. It is wonderful sprinkled on cereal, on berries, mixed in yogurt, or in smoothies. Contains phytates which have been shown to lower certain cancers. Our final top ten is garlic. Years ago it was widely known in ancient Italy that garlic had medicinal properties and when one was sick, they would wear garlic around their neck to ward off evil spirits and get well. While I don’t suggest wearing garlic, I do suggest adding it to your soups, vegetables, casseroles and using it as a staple in your diet as much as possible. It contains allicin which has powerful phytochemical properties. So here you have them, the top ten foods to add to your diet and enhance your phytochemical intake on a daily basis. Be creative and find new and innovative ways to use these foods as staples in your everyday life. 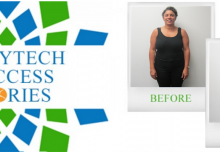 Learn about the BodyTech healthy way of eating, sign up for a FREE introductory seminar by clicking here. SOURCE CREDIT: This article has been republished on mybodytech.com website with the permission of Michelle Krutan Berman RD, MS–see the original feature at Your Health Magazine. 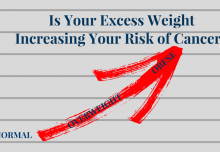 Does Excess Body Weight Increase Your Risk Of Cancer?